Welp, we have our new dream vacation destination. And no, it’s not sightseeing in Europe or soaking up sun on an island — it’s visiting a cookie dough café in New York City. The new store from DŌ, Cookie Dough Confections, is opening up on Wednesday, January 25th at 1 p.m. ET in Greenwich Village and you should probably already be salivating at the mere idea of this magical eatery. While the company DŌ isn’t new, its storefront will be a gift to dessert lovers everywhere. DŌ was created by Kristen Tomlan and focuses exclusively on cookie dough products that can be safely consumed raw. Although you could order these delicious-looking desserts online already, seeing them in person might actually make you swoon. Like many of us, Tomlan is a sucker for cookie dough, so she came up with the idea of using a pasteurized egg product and heat-treated, ready-to-eat flour in her cookie dough so there is no risk of food-borne illnesses like salmonella. That means you can eat all the raw cookie dough you want! While that doesn’t necessarily make her yummy products completely guilt-free, it definitely adds to their allure. 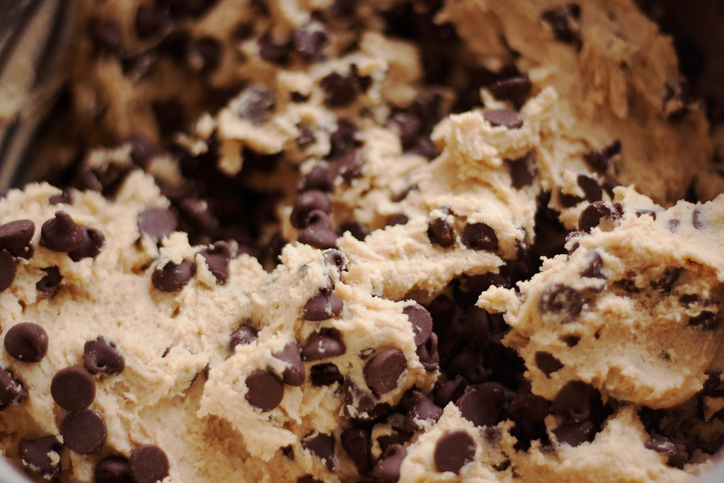 Just look at these cookie dough tubs! Or the ice cream sanDŌwich! We told you your mouth would be watering. If you live near New York City, then you know where you need to be on January 25th. And if not, we won’t judge you for scheduling your next vacay around these cookie dough desserts.